The roads are hazardous resembling a speedway. The parking lots are full. The stores are crowded – people going every which way in the aisles. Those last few gifts elude the mind … what to get for dear Aunt Jane? The light strings are tangled … and the bulbs won’t all light! Guests are coming and the guest room isn’t ready. The in-laws scheduled the family party on the same day as your girlfriend’s shindig. Tension between family members is threatening to explode during Christmas dinner! 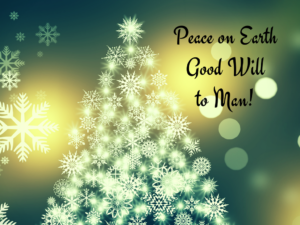 Peace on earth, good will to men! The babe of Bethlehem comes with many titles … the Prince of Peace may be my favorite! 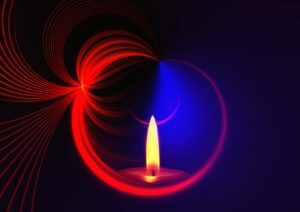 But we know that peace can be elusive even when celebrating the Prince of Peace! In the still eye of the vast hurricane. The primal image. God within the heart. or seen in me—put it into practice. This entry was posted in Advent, Reflection and tagged Advent, Christmas, Isaiah 26: 3-4, Isaiah 9:6, Madeleine L'Engle, Numbers 6:24 - 26, Phillippians 4:5-9, Prince of Peace on December 15, 2016 by instillnessthedancing.